A new textbook on the Civil War offers fresh perspective on this much-studied conflict, including the proposition that it could have – and probably should have – been avoided. With co-authors Michael Fellman of Simon Fraser University and Lesley Gordon of the University of Akron, history professor Daniel Sutherland attempts to impress upon readers the overwhelming national, regional and personal costs of the war. In the process, the authors suggest that political compromises might have saved more than a million Americans from being wounded or killed on the battlefield. What has elevated the Civil War to a glorious triumph in American history is, in part, the myth that it was fought to end slavery and that its outcome represented a moral victory for justice and freedom. 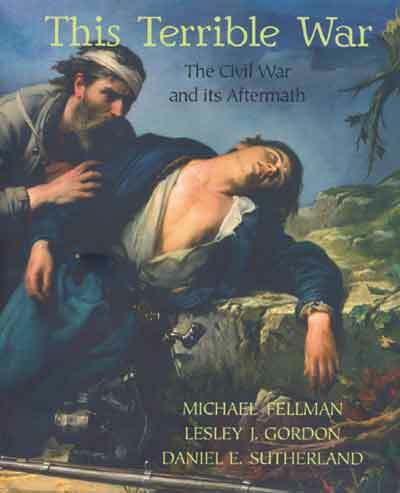 By exploring the conflict from its origin in regional tensions to its aftermath in Reconstruction, the authors provide an expanded history that exposes the truth: that political motives drove the war, that soldiers endured unspeakable brutality on the battlefield, and that emancipated blacks, both North and South, found themselves as destitute and disenfranchised at war’s end as they had been when it began.